Being an education company whose presence is felt over the internet, Master Mind Abacus is concerned about your child being safe with the absurd happenings over the web. We agree to the fact that internet has almost become an essential part of our lives, but there are possibilities that your child may adapt wrong things from it. How to check if your child is walking the right track? Here are some of the advises that will help you answer the same. Parents should protect their children from negative online actions and communications. As a parent you should be aware and informed about your child. Are you a working parent? If yes, you might certainly wonder about choosing the right option where you can make your child stay while you work. With several options available these days, you need to consider the one that offers quality and is economic. After all, every parent wants to gift the best care to their child. If you have relatives in the same city as yours, you can leave your kid at their place as it would give him a feeling of being at home. Also, full care would be given to your child and you will be able to work without any tension. These are the most preferred option that is opted by most of the parents. This is place where children are safe and are supplied with games of their interest and an ambience that is joyous. It is like a second home to children. You can hire a nanny or a baby sitter who would come down to your place and take care of your child. They stay at your home while you are out for work and take complete responsibility of the child in your absence. We at Master Mind Abacus, being educationists are highly considerate about the children and also ensure complete care to our Abacus students during the class. We are more than just their teachers. We are a family, a friend and a home to children. What do you plan for your kid this winter? Did you just wonder why? Well, soon after the vacation gets over, will arrive the exam season. You as a parent would certainly want your child to perform better in his/her exams. So, why not put them into the Abacus course and contribute in his/her complete brain and personality development of children between 4-14 years of age altogether. The Abacus course is a proven program that nurtures the child mental arithmetic skills along with amplifying their brain functions in such a way that it improves their performance in every field. The Abacus beads on the calculating frame sends stimulus directly to the brain through fingers and thus helps ease solving mathematical problems. The child learns to make effective use of Abacus and gets better in mental calculations as and when he/she precedes to higher levels (total number of levels being 10). So, secure your child’s academic scores in future by getting him/her benefited from the best Abacus classes at Master Mind. Build a strong educational base… Start early! As a concerned parent, you might be aware about the cut-throat competition among the students’. Even you would definitely want your child to become successful in every area of participation. And, to do so, you have to put in continued efforts to add to the child’s achievements. Education plays an active role all this while. Don’t you think if you give your child the best education solutions from the very beginning, he/she will be able to build a foundation that can easily adapt to ferocious competition in the future? If you are affirmative, implement it right away. Take a step to reach to the best education providers from the start. Give them supplementary education like the Abacus course that blossoms a kid’s intelligence by which he/she can outshine over his/her acquaintances. Abacus classes are solely meant to be taught to children of age 4 to 14 years. The very well known effects of good Abacus training helps develop children’s brain and overall personalities. Apart from that it gives the students a strong base of easily understanding, learning and grasping complex concepts of subjects like mathematics etc. Since the course benefits are experienced during the early ages of life, therefore it is mandatorily meant for small kids. If you as a parent seek to ‘start early’ and gift your children with excelling qualities, put them in Master Mind Abacus. You will cherish your decision when your child will outdo in his/her academics and elsewhere. 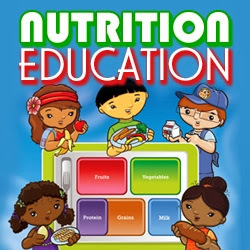 Nutrition and Education: Are they interlinked? Education is the basis of survival in this age. But to have an effective education, apart from an individual’s potential, his/her health plays a critical role. A healthy being is the one that constitutes a blend of mental and physical health. In spite of providing the best educational systems, unhealthy nutrition may make all the efforts go in vain. Healthy food and education go hand in hand. Have a look at the list of food items you should eat to say fit, healthy and which would certainly help in absorbing and retaining a good education. Each vegetable especially the green leafy vegetables carry nutrition and strengthen the body. Fruits on the other hand are a rich source of vitamins and minerals. They should necessarily be included in the diet of every individual. Milk and its extracts are rich in proteins and calcium. It keeps the bone density high and also smoothen the overall digestion process. Also, milk products are natural sources of sugars like lactose. Pulses are another rich source of proteins. It cuts the dissolved fats by amplifying the muscles of the body and restricting the accumulation of unwanted fats. They are rich in fatty acids like omega-3. It can be derived from fishes like Salmon, tuna and other sea foods. Walnut, Soya, Rapeseed oil also contains omega-3. It plays an important role in cognitive development of brain, behavioral functions and memory, thus helping a student to succeed in his/her educational career. Other important foods include sugars, fats, legumes and grains that maintain a balance in the body by delivering the desired nutrition. Want your child to succeed in his education? 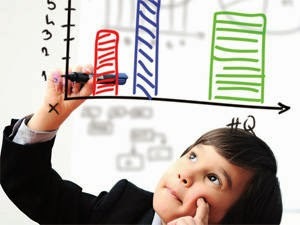 Drop him into our Abacus course and we will inculcate all the skills that will help him excel over others. Parents Teacher meets are scheduled for the parents to know the progress of their children. These meetings help a parent get aware about developments (good and bad) of the child, and even share information about certain habits of the child that may help the teacher to ensure desired results from it. 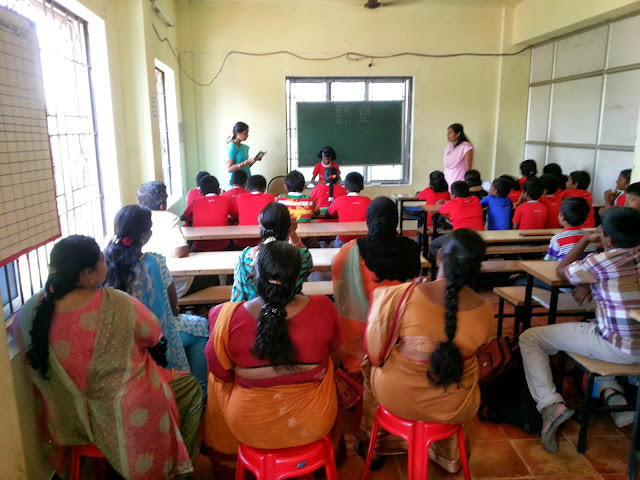 To make sure that the children have been performing well in their Abacus classes, one such parents’ teacher meet was conducted in the center of Nagarcoil. The parents of Abacus students were invited at the center and their strengths and weaknesses were discussed with the parents. The Abacus training center through this meet wanted to ensure that student’s gain maximum benefit from the course by practicing in the right way. Here is a picture from the event where teachers are discussing the child’s performance in the classroom with the parents. Also, there was an open discussion wherein even the parents could speak their views and suggest measures to extract the best from their kids. The sole purpose of the meeting revolved around discovering the unseen potential of children. The event was a huge success as both the Abacus trainers and the parents gained valuable information about the students that can help plan effective strategies for teaching them.